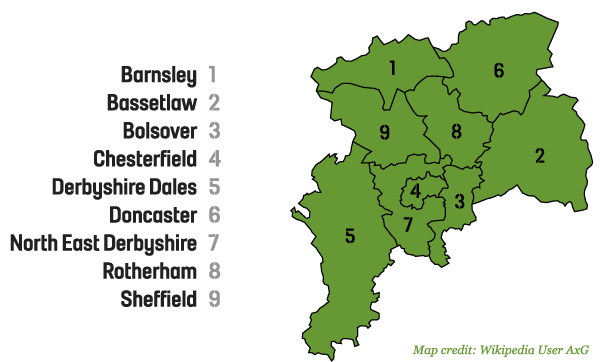 Sheffield City Region Devolution – What does it mean for cycling? Today George Osborne has announced details of a new devolution deal for the Sheffield City Region. What does this mean for cycling and transport ? Highlights are more control over transport budgets, franchised bus services and strategic planning, as well as a new mayor who will chair the Sheffield City Region Combined Authority. The Combined Authority already has responsibility for delivering large transport projects (amongst other things), however it looks like they will take control of some strategic roads via a new Key Route Network of local authority roads which will be managed at a regional level. This all sounds very similar to the situation in London with Transport for London being headed up by the Mayor of London, the ability for TfL to franchise bus services, managing a strategic network of key roads and strategic planning. There will be lots of involvement of the private business sector as there is with TfL (this already happens at a Sheffield City Region level). I think that TfL and the Mayoral leadership have been good at delivering for cycling (comparatively compared to area’s outside of London). We don’t know exactly what the future holds, but we’ve said for a long time that we’d like the same level of control (and investment) that London has with transport and funding, perhaps we’re now on that path in Sheffield. This entry was posted in City Region and tagged cycling, devolution, sheffield, sheffield city region on October 2, 2015 by Matt.